Below you will find Top CBSE Schools in Dehradun 2019, List of Best CBSE Board Schools in Dehradun. Lucent International School is situated at Dehradun. Delhi Public School Dehradun is a co-educational school will follow a set pattern of fifteen years of schooling. 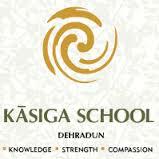 Kasiga School, Dehradun is a co-educational English medium residential school founded in the year 2007. Kendriya Vidyalaya, FRI, Dehradun is a school providing education to the children of Central Government employees. Kendriya Vidyalaya ONGC, Dehradun, one of the best educational institutions. KV OLF Dehra Dun is one of the most prestigious educational institutions of Dehra Dun in Uttrakand state of Kendriya Vidyalaya Sangathan. Kendriya Vidyalaya No 1, Hathibarkala Dehradun is located in the heart of the Capital of Uttarakhand. Kendriya Vidyalaya No 2 Hathibarkala, Dehradun is a co-ed school managed by Kendriya Vidyalaya Sangathan. Kendriya Vidyalaya, IIP Dehradun embarked on its legendary, voyage of victory. Kendriya Vidyalaya Birpur is a Constituent of Kendriya Vidyalaya Sangathan, New Delhi and Functions under the guidance and instructions issued by it. Kendriya Vidyalaya Upper Camp, Dehradun Cantt. Kendriya Vidyalaya, ITBP, Dehradun is situated in the heart of the city catering to the educational needs of the children of defence personnel, Central Govt. Kendriya Vidyalaya, OFD, Raipur was opened within the set policies of KVS in September 1981 up to class V in a temporary structure provided by Ordnance Factory authorities.